One of the greatest challenges—and opportunities—for teachers and school leaders in contemporary schools is learning to address the needs of increasingly diverse student populations. School leaders and teachers alike are keenly aware of the diversity of cultures, languages, entry points, interests, and approaches to learning that are part of virtually all classrooms. Despite that awareness, few classrooms give evidence of coherent, proactively planned attention to student variance. Positive school change happens only when school leaders can work with teachers to develop a shared vision of effective teaching and provide consistent support for teachers to understand and implement the change initiative. In other words, the role of the school leader is as important as that of the teacher in improving the quality of teaching and learning. Help school leaders refine and clarify their understanding of quality differentiated instruction in order to provide the kind of leadership and support necessary for teachers to plan for and provide more responsive teaching. Help school leaders develop skills and understandings necessary to support teachers in planning for and implementing effective differentiation. It is advised that leaders who have not extensively studied differentiation attend the teacher session (Creating and Leading a Differentiated Classroom) in order to ensure a solid understanding of differentiation. This session for leaders will cover a very brief summary of the key elements of differentiation. There is now a large and growing evidence base that helping teachers develop their use of minute-to-minute and day-by-day assessment is one of, if not the most powerful way to improve student learning. However, adopting formative assessment, or assessment for learning as it is sometimes called, involves far more than adding a few “quick fixes” to teachers’ classroom repertoires. It involves a fundamental shift in focus, from what the teacher is putting in to the process to what the students are getting out of it. Dr. Dylan Wiliam is Emeritus Professor of Educational Assessment at the Institute of Education, University of London where, from 2006 to 2010 he was its Deputy Director. In a varied career, he has taught in urban public schools, directed a large-scale testing program, and served a number of roles in university administration, including Dean of a School of Education. His recent work has focused on the use of assessment to support learning . He was the co-author, with Paul Black, of a major review of the research evidence on formative assessment published in 1998 and has subsequently worked with many groups of teachers, in both the UK and the USA, on developing formative assessment practices. Participants will learn what kinds of formative assessment have the biggest impact on student achievement and how they can be implemented in every classroom. Understand why a focus on minute to minute and day by day assessment for learning must be a priority for every school. Understand how to support colleagues in developing their practice of assessment for learning. 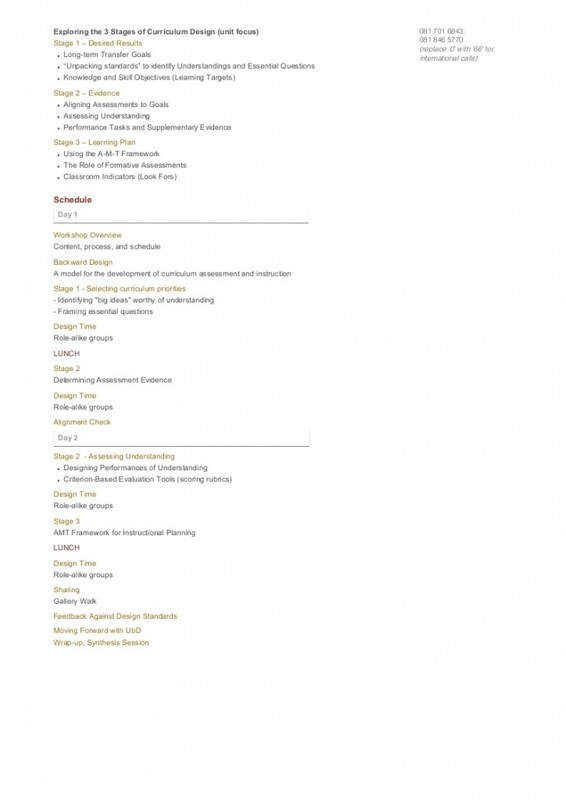 The workshop will use a variety of techniques including formal presentation, small group discussion, and a variety of activities that model the use of effective formative assessment in the classroom. Step 1: Fill out the Workshop Reservation Form (below). Marketing and communications is an important feature in the effective management of an international school. Today, more than ever before, schools are talking about brand identity, reputation management, unique selling points, strategic sales, digital communication platforms, the impact of social media, key performance indicators and success metrics. This 2-day, activity-based, workshop begins from the central idea that when we talk about effective marketing and communication, we are really talking about how to tell the story of our school and help others find their place in that story. This course is designed for anyone responsible for marketing and communications within a school setting. It will be of particular interest to Business Managers, Heads, Admissions Officers, Alumni and Development Officers, as well as Communications Officers. Dr. David Willows is Director of Admissions and Advancement at the International School of Brussels. David is also a regular presenter at international conferences, blogger, and author of several books and articles in the field of international school branding, admissions, marketing and communications. Formerly on the Board of the European Association of Communication Directors and CASE Commission on Marketing and Communications, he is currently serving on the ECIS Admissions Committee and was runner-up in the 2012 International Brand Master Award for educational marketing professionals. He also leads the Media Team for the Common Ground Collaborative Project. Through practical and relevant activities, as well as sharing of best practice around the world, participants will explore the outlined key questions and, at each step of the way, encouraged to build an action plan that leads to positive change in their current school setting. What is the story of my school? What are the tools that will help us to communicate this story to a wide range of stakeholders? How do we influence the stories that are being told about us out there? Why losing control of the story is not the same as losing the plot. What is the cost vs. value of storytelling? Why effective marketing doesn’t have to cost as much as we think. What is the role of data and metrics in effective storytelling? How we know we are being successful at the end of the day. Since 2000, the CoT Project has worked with hundreds of public, independent, and international schools and museums across North America, Australia, Asia, and Europe to help transform schools, classrooms, and museums into places where thinking is valued, visible and actively promoted as part of the regular day-to-day experience of all group members. – Creating Cultures of Thinking (Ritchhart, 2015). Dr. Ron Ritchhart is a Senior Research Associate at Harvard Project Zero and Fellow at the University of Melbourne, Australia. His current research focuses on developing intellectual character, making thinking visible, and enhancing school and classroom culture. Ron’s research and writings, particularly his theory of Intellectual Character and his framework for understanding group culture, have informed the work of schools, museums, and organizations throughout the world. Ron’s widely acclaimed book, Making Thinking Visible, co-authored with Mark Church and Karin Morrison, has popularized the use of thinking routines worldwide. 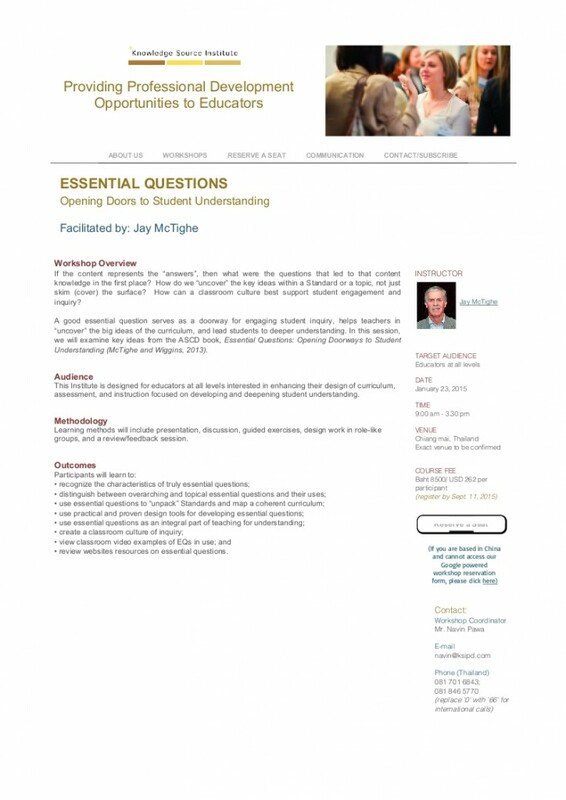 Ron currently directs the Worldwide Cultures of Thinking Project aimed at facilitating effective learning in classrooms, schools, and organizations. Bialik College in Melbourne Australia, Oakland County Schools in Michigan, and the International School of Amsterdam have been key partners in Ron’s research. Learning is a product of thinking. If we want our students to learn well and develop understanding, we must create cultures of thinking that actively engage students in thinking on an ongoing basis. However, this isn’t always an easy task. Schools and classrooms are not always set up to encourage thinking. Furthermore, by its very nature, thinking is a rather invisible and elusive process. How do we as teachers promote students’ thinking, recognize it when it occurs, and make thoughtfulness permeate our classrooms? To create a culture of thinking, educators must work together to create a school environment whose structure and purpose actively encourage a high level of student thinking, both individually as well as collectively, and where the thinking of all group members is regularly promoted, valued, made visible, and pushed further as a part of the ongoing, shared enterprise of the group. •	What is a culture of thinking? •	How can the cultural forces that exist in each classroom support and further develop a culture of thinking? •	How can educators use thinking routines to structure, scaffold, and support students’ thinking? This interactive workshop is designed for teachers, administrators and school leaders across grade levels and subject areas who are interested in supporting and developing their students as thinkers and learners. •	The eight keys to the development of group culture and how they can harness those to create a culture of thinking in their school or classroom. •	How to use thinking routines in to support students learning, to foster thinkingdispositions, and to make thinking visible. •	How to foster effective classroom discussions through the use of language, questioning, and discourse. Many children are confident talkers at home, but may need extra support to join in with groups in school. These children may be ‘reluctant talkers’ due to shyness, high sensitivity, introversion or in some extreme cases, selective mutism. Children learning a second language or with additional learning needs also need support to fully participate in groups, to develop friendships, and to promote optimum learning. This course explores reasons for children becoming ‘reluctant talkers’ in early years settings, and looks at practical strategies and activities that will benefit all young children’s language development and learning. This course includes lectures with audio visual presentation, discussions and practical workshops. 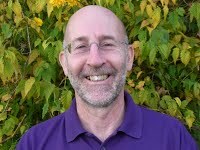 Michael Jones has over 30 years’ experience as a Speech and Language Therapist, teacher, and trainer. Michael has taken part in action research involving practical methods to support children’s language development, and has written extensively on the subject, including articles for magazines and academic journals. Michael leads practical training across the UK and abroad. He led two successful speaking tours of Thailand in 2006 and 2007, including for staff in international schools and kindergartens, and talks for parents, student teachers and medical students. He led highly successful training for Knowledge Source Institute in Bangkok in 2013 and in Kuala Lumpur and Dubai in 2014. Michael has a particular interest in supporting children who are quiet and anxious in school. Michael is the author of : Let’s Get Talking! , Supporting Quiet Children and Let’s Talk About Maths! Exploring shyness, high sensitivity, introversion and selective mutism in children and how this influences their social skills and language development. Helping children during the ‘silent phase’ of learning an additional language. Practical strategies to build children’s confidence as talkers in groups. Strategies for linking home and your setting, to increase children’s confidence as talkers when away from home. Practical activities to support all children’s social skills and language, with particular reference to how adults organise and lead groups. Practical and fun activities to increase children’s participation at storytime and other adult led activities. Activities to support children to talk with each other. Practical activities linking language, mark making and small world play. Step 3: You/your coordinating staff will submit the Payment Completion Form after making the payment . The Google Apps for Education Workshop is a curriculum developed by Google Certified Teacher, Lee Webster which focuses on authentic and valuable ways to use the Google for Education Tools. Lee offers these sessions as ‘Treasure Trove of Google Tools for Schools’ at Google Summits worldwide. These lessons keep the beginner in mind while providing those ready to ‘level’ up with unique uses and tips for using Google apps in the classroom, organization, for productivity or collaboration. Google Certified Teacher Lee Webster has been a core member of the Google Summits team from the beginning and is now helping to deliver these kinds of workshops to schools across Asia. He has worked as an educator for over 17 years. 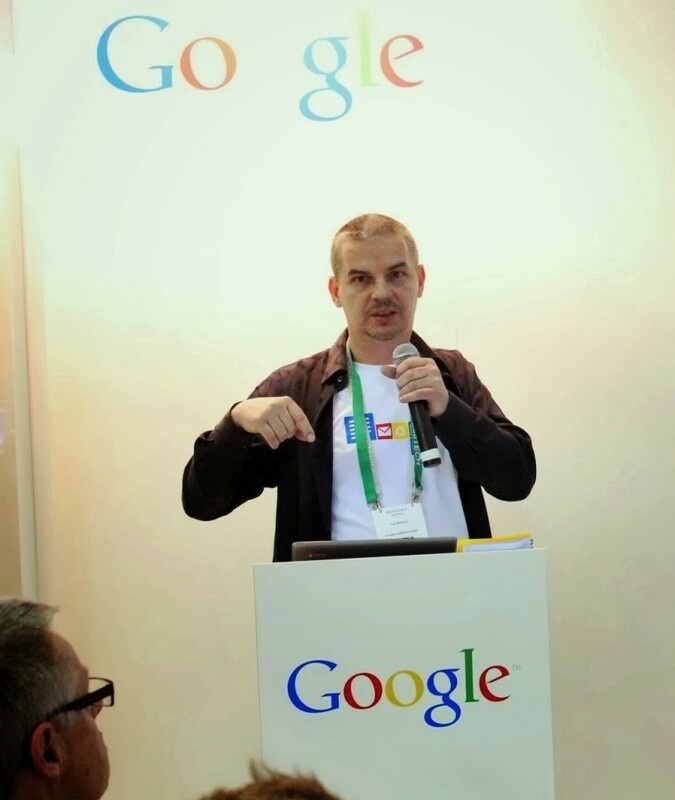 Lee is an active user of Google+ and helps to run many of the Google Apps communities. Lee’s passions are learning about new tools that enhance learning and pushing the boundaries of education. Technology is changing the way we learn and teach, dealing with these changes can sometimes be difficult. The keynote will go through the new technologies that are having an impact on our lives and will come up with solutions of how we can enhance and transform the learning experiences for our students. What is changing? Types of technology that are having an impact on our daily life. Why education needs to change? The difference between digital immigrants and natives. Chrome extensions and Drive Apps are key functions for making your work life productive and for getting students to create work which would not be possible without this kind of technology. This workshop will look at many different extensions and apps which you probably thought did not exist within the Google Apps range. It will cover things like screenshots, making ebooks, time savers, monitoring students work and giving feedback to students. In this hands-on session, we will create a Google form from scratch as well as look at how one can use Google forms in the day-to-day operations of a school. We will visit an educational portal that has Google form templates and tutorials that have been designed by other educators to help save us all time. We will look at how we can use Google scripts to automate assessment and assign work to students. Rather than asking your students to mine the Internet looking for information, show them how to get to the information using effective search strategies. We will take a tour of the tools that Google has developed to help you and your students focus on synthesizing the information you’ve found rather than spending precious classroom time trying to find it. Explore how to use Google’s latest search techniques with your students and develop strategies to help your students do meaningful queries rather than just hunt for data. Many people think that Chromebooks and Google Drive do not have the same capability as some other products on the market today e.g. MACBooks in this session you will learn about some third party Google Drive Apps which give you powerful capabilities like photo editing, animation, movie editing and the good news is they are all free. These tools will help you to flip your classroom. Google+ is the fastest growing social network on the planet. It is now the second biggest social network and has 540 million active users in just 2 years. Google+ is fast becoming a core Google App and has great potential for education and is a leading force for teachers professional development. In this workshop we will show you how to setup your account and how to use all the key features. We will also show how to use communities to build a class learning network with your students and how to use hangouts so you can flip your classroom. How to build your own class site? Why use Google Sites for e-Portfolio? Come and take a tour of Google’s recently announced Maps Engine. Learn how to draw on, style, layer, and import data into your maps. Sharing and collaborating your powerful custom maps is easy and we’ll highlight ideas for classroom use and sample maps. Also learn to build your own tour using the new Google Tour Builder and learn how to use these for skills to enhance students learning in Geography, History, Literacy and other subjects. Traditional ESL programs grew from a deficit model where English learners were perceived as ‘problems’ needing to be fixed by specialists in order to function in mainstream classrooms. Rethinking and redefining this orientation is leading schools to figure out ways to design high-challenge, high support learning environments in which English learners gain a sense of their own competence through academic literacy and achievement. •	What are best practices for simultaneously increasing the English language proficiency and academic achievement of English learners? •	How can ESL and mainstream teachers work together to make this happen? •	How can grade-level academic standards (expectations) be used to get this work done? •	The development of a professional knowledge base on linguistic and cultural issues related to teaching English learners in K-12 settings. 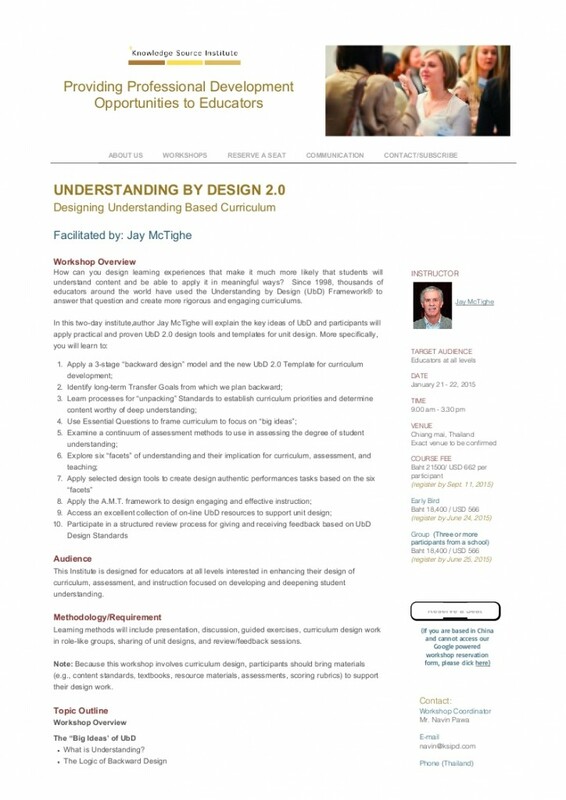 •	An understanding of programs options and curricula models. •	How to use specific instructional strategies to build background knowledge, scaffold meaning, extend language development, and affirm cultural identity as suggested by IBO for ELL in international schools. •	How to use literacy strategies (i.e. vocabulary, reading and writing) to increase academic language literacy skills in all curricula subjects. •	How to use instructional frameworks (i.e. assessment, differentiation, cooperative learning and co-teaching) to provide access to grade-level content to ELL in all subject areas. •	Using standards-based and assessment-driven instruction to support English Learners to CAN DO what teachers want them to know and do. Virginia Rojas, Ed.D. conducts professional training on effective programs and strategies forEnglish learners from pre-school through grade 12 for ESL and classroom teachers alike. As an ASCD faculty member, Dr. Rojas uses the backwards design curriculum model to work help teachers design high-challenge, high-support learning experiences forstrengthening English learners’ second language proficiency and academic achievement.